Yesterday we did mesh. Today kind of staying along the same lines with the open knit sweater. This cheeky option is great for a more casual look. I'm in love with this sweater and the reasoning is perfectly explained in the name of the item. What does Miss Mackenzie always say? Navy or nothing? Amen sister. Classy and edgy at the same time. I'd layer on a neon necklace to pop. 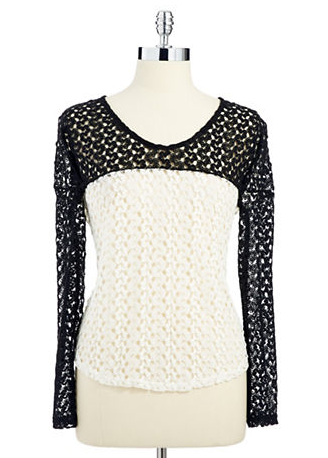 A cozy drop shoulder sweater that is perfect for skinny jeans, boots, and an oversized scarf. 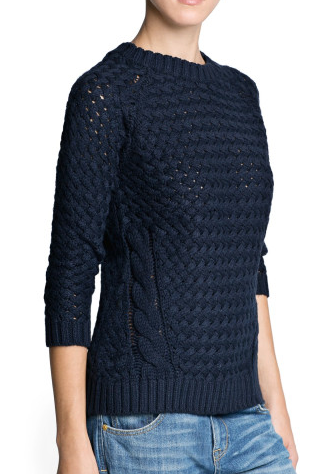 These chunky open knit sweaters are a comfortable yet chic option for weekends. Effortless but put together.